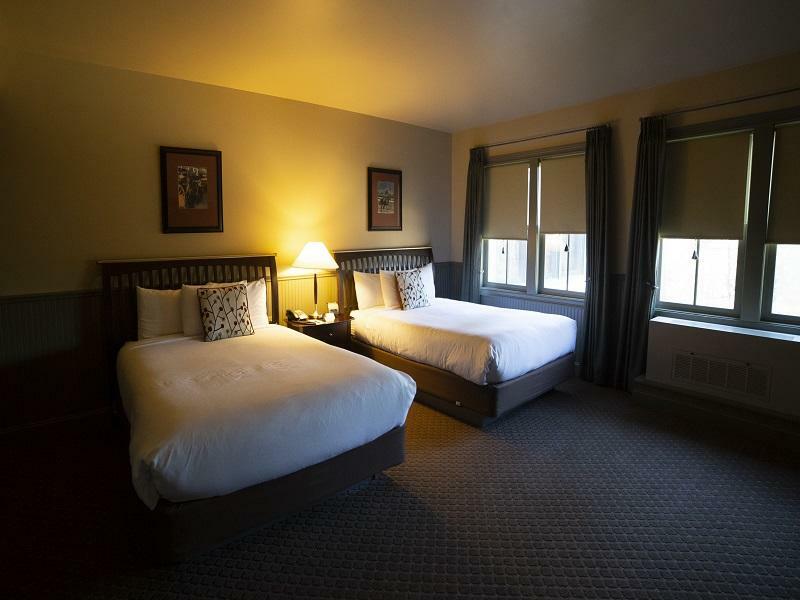 Settle in, stretch out and discover a home away from home at Longfellows Hotel. 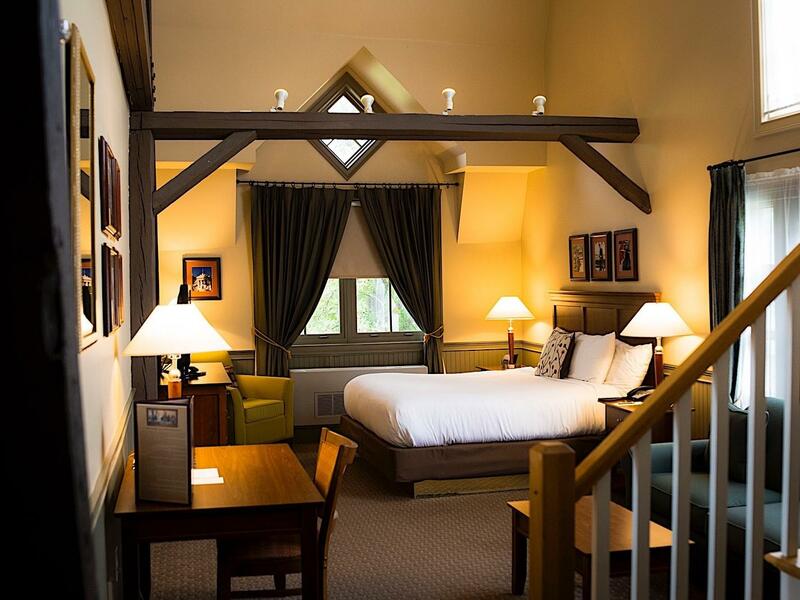 Thoughtfully designed and stylishly appointed, our hotel accommodations offer a relaxed sanctuary near downtown Saratoga Springs. 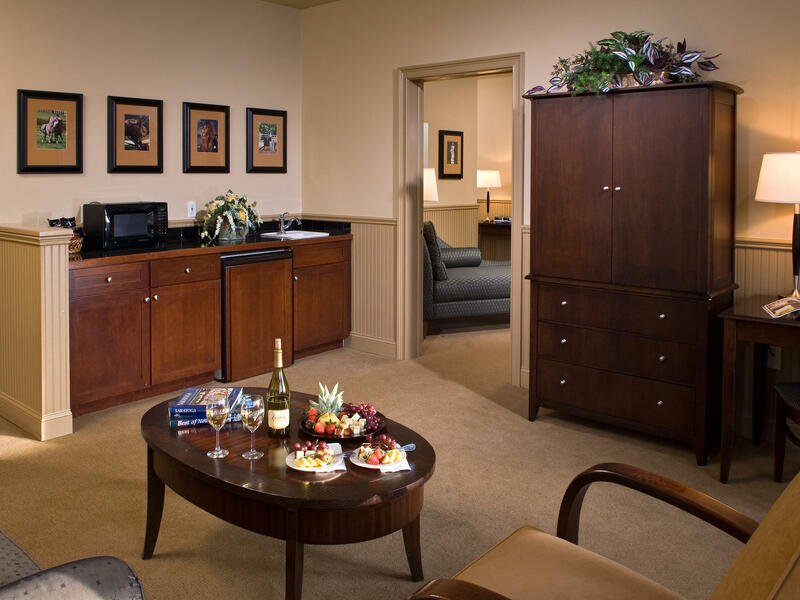 All of our rooms and suites feature flat-screen TVs with cable, coffeemakers and mini-refrigerators. 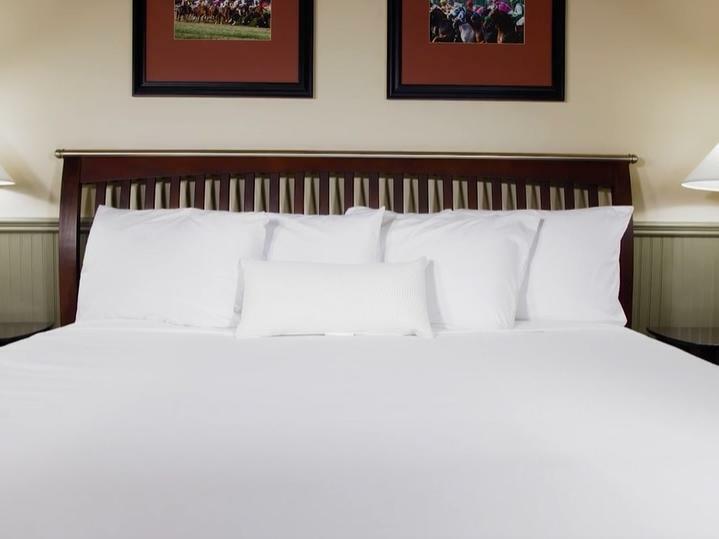 If work brings you to Saratoga, you can make use of complimentary Wi-Fi access and an in-room work desk and chair. All of our accommodations (except accessible rooms) include Jacuzzi tubs in the bathroom, and many offer comfy sleeper sofas. Spoil yourself by reserving our elegant Presidential Suite, which includes a separate bedroom, a dining table and more. Located on the conference level, our luxurious Lower-Level King Suites allow easy access to all other areas of the hotel. They offer a unique combination of convenience and privacy, with one full and one three-quarter bathroom, a spacious living area, a deluxe wet bar with microwave and refrigerator and a comfortable king-size bed. 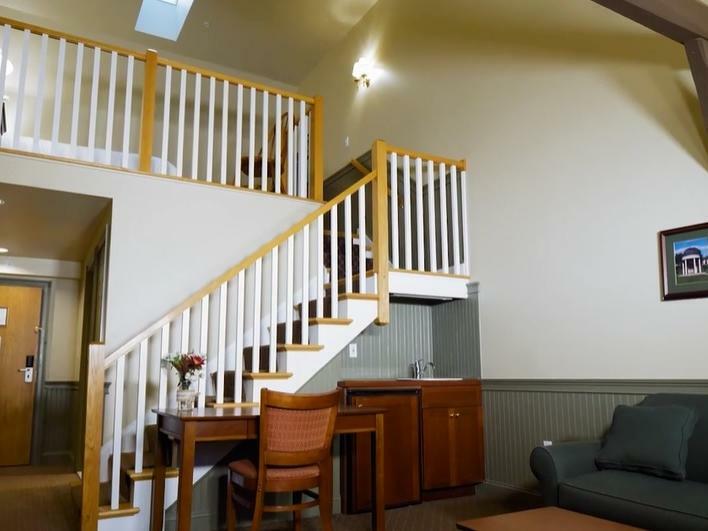 Enjoy two levels of luxury when you stay in our Deluxe King Loft. The beautifully furnished main living area includes a sleeper sofa, wet bar and refrigerator. Upstairs, a spacious loft with a comfortable king-size bed overlooks the living area. The bathroom includes a Jacuzzi tub. 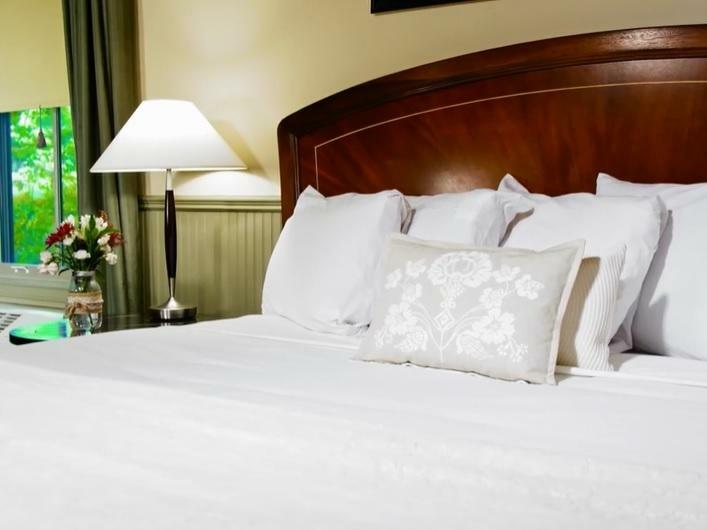 Our spacious Deluxe King rooms include beautiful furnishings and a comfortable king-size bed. Additional amenities include complimentary Wi-Fi access, a flat-screen TV and a Jacuzzi tub in the bathroom. Our Deluxe Double Queen rooms are classically furnished and include two queen beds and ample space for you to spread out. Enjoy a relaxing soak in your in-room Jacuzzi, keep connected with complimentary Wi-Fi access or unwind in front of your flat-screen TV after an eventful day downtown. Ideal for vacationing families, wedding parties, business professionals and others who want to keep their sleeping and entertainment areas separate, the Executive King Suite includes a queen-size sleeper sofa and a deluxe wet bar with microwave and refrigerator in the living area. The adjoining bedroom, with its comfortable king-size bed and oversized California closet, offers added privacy and luxury. Our Presidential Suite is the most lavish of our hotel accommodations, and is perfect for a romantic weekend or a fun family escape. It includes a Jacuzzi tub and double pedestal sinks in the bathroom, a fireplace, a spacious living area with a queen-size sleeper sofa and a wet bar with a microwave and refrigerator. The separate bedroom offers a king-size bed and an oversized California closet. Our Deluxe Handicap King rooms are designed for guests with mobility concerns who need extra accessibility options. They include large bathrooms. 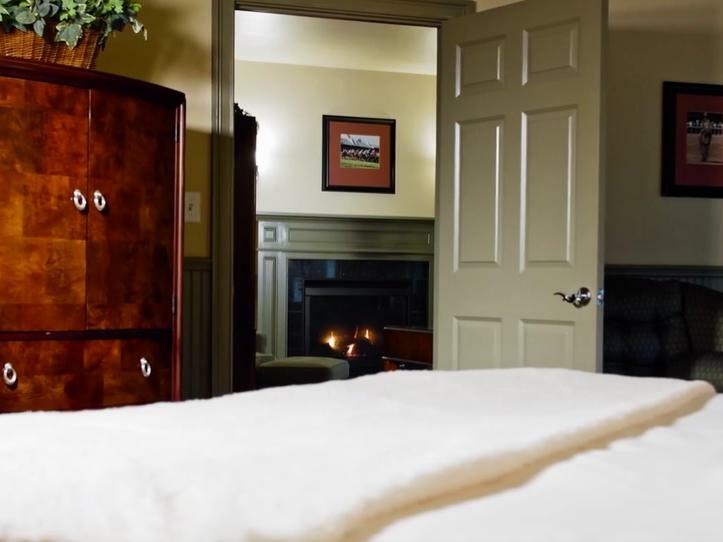 Sleep soundly in Saratoga and wake up feeling relaxed and refreshed when you stay in one of our Executive Queen Suites. The spacious living area of the suite includes a queen-size sleeper sofa and a wet bar with microwave and refrigerator, while the separate bedroom features two queen-size beds and an oversized California closet.